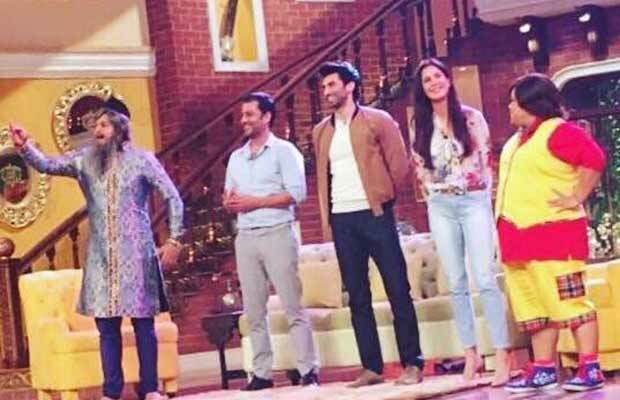 Home BOLLYWOOD Salman Khan Surprises Katrina Kaif On Comedy Nights Live! 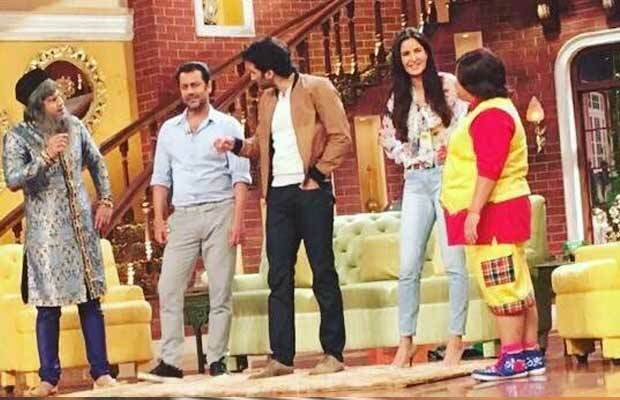 Salman Khan Surprises Katrina Kaif On Comedy Nights Live! [tps_footer]Bollywood stars Katrina Kaif and Aditya Roy Kapur who are constantly promoting their upcoming film Fitoor, will be seen promoting their film soon on new show ‘Comedy Nights Live’. As the movie is nearing for its release, the two talented stars chose to promote their film on the comedy show. Both Aditya and Katrina were clicked on the sets of ‘Comedy Nights Live’ and we have got amazing pictures of them with the entire team. Aditya and Katrina Kaif at promotions is surely not a surprise, but it left us stunned to see Salman Khan too with them. 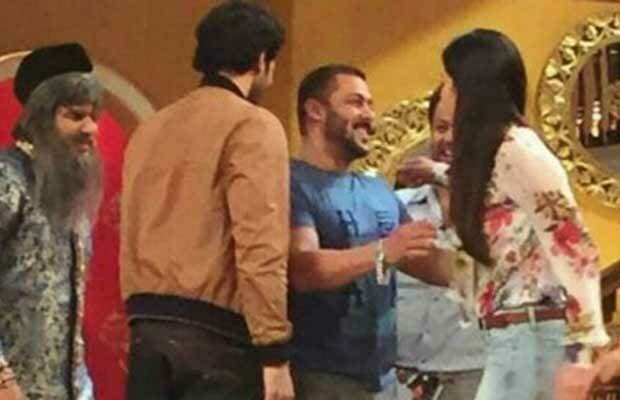 Yes, we got our hands on the pictures of Katrina Kaif, Salman Khan and Aditya Roy Kapur on the sets of the comedy show. Looking at the pictures, it seems like Salman Khan who was nearby the sets of the show, surprisingly dropped in. The actor spent a very good time with Katrina, Aditya Roy Kapur on the sets. Looking at the pictures, they surely had a gala time together and moreover anything, the ‘Bajrangi Bhaijaan’ star left audiences amazed. Well, since Ranbir Kapoor and Katrina Kaif have parted their ways, the closeness and the bonding is pretty much evident between former couple Salman and Katrina. Earlier, the two were also seem having a good time on Bigg Boss 9 grand finale. Recently, during an interview, Katrina Kaif who is ignoring to answer anything about Ranbir Kapoor and her break up with him, but chose to speak about former love Salman Khan. The actress says she shares the bond of respect with Salman Khan today and that the respect is a very important factor in any equation. Next articleComedy Nights Live Review: Here’s What Fans Said On Watching Krushna Abhishek Replacing Kapil Sharma!